High torque handles provide a firm grip and easy turning. The Allen keys have a conventional end and made with Chrome Vanadium with a blackened finish. The shaft and ends have been hardened to last a long time and fit correctly time after time. The handles are made from TRP grip and are ergonomic according to the size. 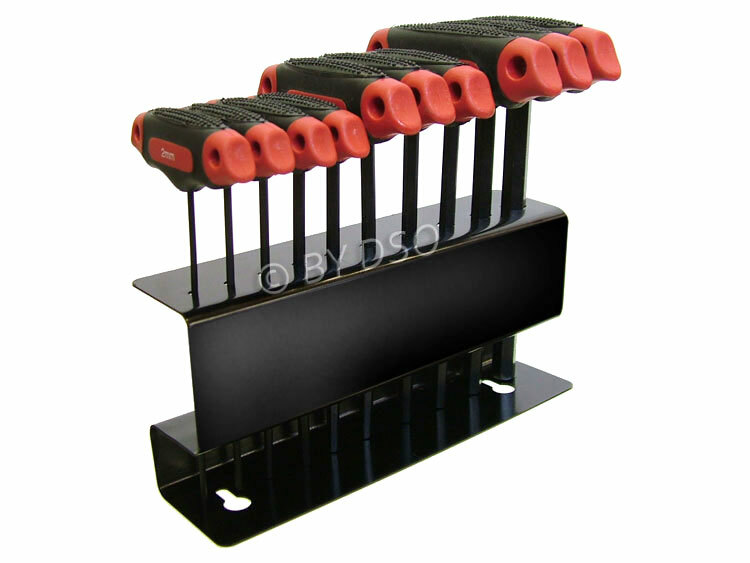 Neatly packed in metal stand that sits conveniently on any work bench.